On completion of St Luke’s division, the first part of the hospital to be built, rules for staff were published; staff had to be on duty by 0600 and retire to bed by 2200. They were allowed to go out one day every three weeks and one Sunday every month. Any ‘attendant’ who lost a patient, had to pay the expenses incurred in their retrun to the hospital. In 1878 Cooper & Tullis built the Annex (St John’s division) following the purchase of 68 acres of land. The Annex was completed in 1880 and then accommodated 115 patients. 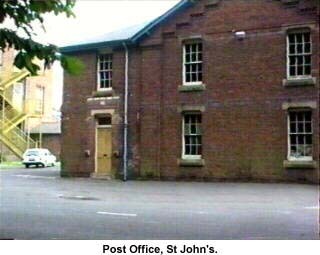 The Post Office was constructed within St John’s division with the agreement of the Postmaster General; the hospital now had its own Post Office! In 1884 telephone communications were established with Preston at an annual cost of £20. In the same year, an Infectious Diseases Sanatorium was established, known as Fryars’ Villa, named after Alderman James Fryar who, at one time, was Chairman of the Hospital Committee. In 1890 the “Lunacy Act” was passed by Parliament; this was one of the greatest pieces of legislation in the history of Asylum. 1892 saw arrangements being made for the grounds to be illuminated by the new ‘electric lamps’, and this was completed in 1894. In 1901 the introduction of 10/- (ten shillings – (50 pence today)) per week was introduced for staff on annual leave in lieu of rations. The attendant staff wanted a shorter working week at this time, as their recorded working week was 98 hours! Annual leave at this time was; 10 days for Attendants; 12 days for Second Charges and 14 days for Charge Attendants. The daily diet of patients and staff included one glass of Ale which was brewed on site in the hospital’s own brewery! 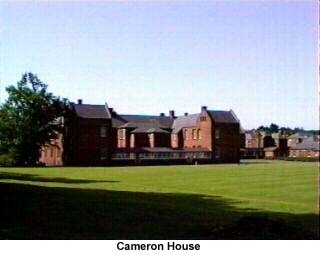 1912 saw the construction of the New Annex (or West Annex) to become known as St Margaret’s division; prior to this, Cameron House was completed and opened and named after James Cameron. In 1914 the Clock Tower, which was a prominent landmark, rising from above the main corridor in St Luke’s division, was taken down, never to be returned to its place of splendour, and faded into history – it is only seen on very old photographs, some of which we hope to include in later editions. 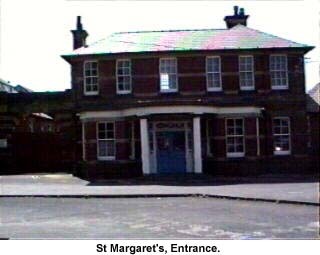 St Margaret’s officially opened in the same year, 1914, and the patient population in the following year, 1915, is recorded as being 2,820. In 1918/19 the New West Annex (St Margaret’s) was evacuated as an Asylum and turned over to the Military for their use in the care of sick and injured from the First World War. There are four graves in the hospital cemetery which are under the care of the War Graves Commission relating to casualties of the First World War (there is one from the Second World War too, although this one appears to be the grave of an Italian internee). 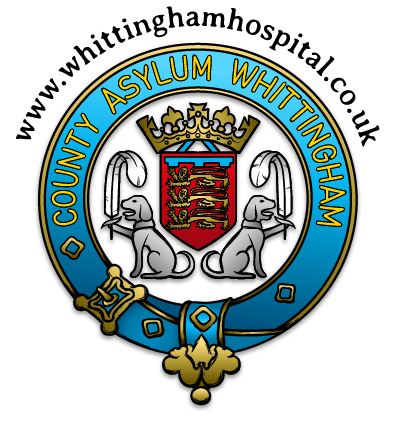 Committee records show at this time, the change of name from “Whittingham Asylum” to “Whittingham Mental Hospital”. 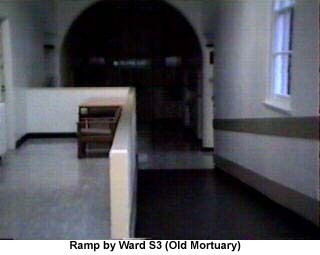 The Commissioners noted in 1929 that an ‘open door’ principle was practised on a number of wards, and in 1930 Parliament passed the first “Mental Health Act”, resulting in the first “voluntary” patients being admitted. The term “Asylum” was replaced by “Mental Hospital” and the term “Lunatic” was replaced by “person of unsound mind”. In 1932 the patient population exceeded 3,000 for the first time, and at this time, staff numbers are recorded as being 433. Since the beginning, the hospital had its own Brass Band and Orchestra, both of which achieved very high standards. Both patients and staff were members of these two functions. 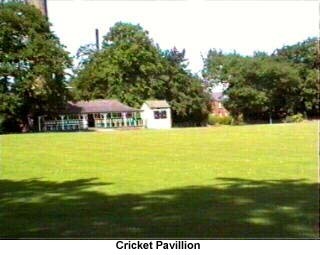 Later Whittingham developed a sporting tradition, which was encouraged by the Management Committee, and achieved a reputation of which it is justly proud – cricket is still played on the hospital pitch today and it is home to Whittingham and Goosnargh Cricket Club. 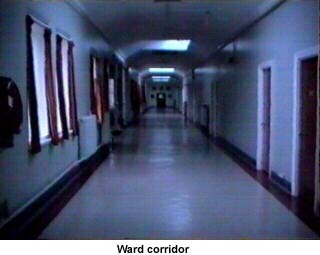 The “open door” principle was extended and patients had access to the grounds of the hospital and the local village, Goosnargh. The hospital grounds by this time had become a work of art and, up until closure, were maintained to a very high standard and were a pleasure to wander through. At the outbreak of the Second World War in 1939, the patient population was 3,533, which made Whittingham Mental Hospital the largest in the country. 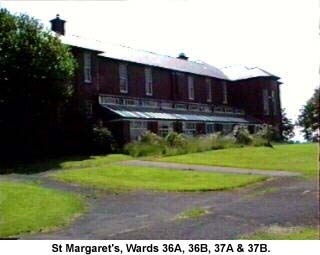 Wards 31 to 36 (St Margaret’s division) were vacated and patients accommodated in other hospitals to allow the Military once again to have access to the facility, and this part of the hospital become known as the Whittingham Emergency Hospital. These wards consisted of 900 beds and many casualties, both military and civilian, were treated there, the first being evacuee casualties from Dunkirk. A Major from the Royal Army Medical Corps was responsible for discipline and had his own compliment of military personnel for the duration. Prisoners of War were also treated in this ’emergency hospital’ at this time. 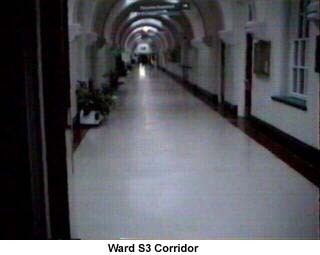 The military vacated the hospital in 1946 and the hospital returned to its intended function. The innovation of staff at Whittingham produced the very first EEG machine. This was a result of the collaboration between Dr C S Parker and Mr Charles Breakall, and the encephlograph was born! This equipment was produced from War Surplus material which, at the time, was being sold for £2.10.0d (two pounds, ten shillings) per hundredweight! An article was published in the “Lancet” describing this new innovation, and considerable interest was expressed by the American Department for Space Medicine, the forerunner of NASA. 1953 saw staff shortages such that recruitment had to be carried out from overseas. This proved a success, staff were recruited from places such as France, Italy, Denmark, Ireland, Malta and Mauritus, broadening gently, the cultural scope of Whittingham. During this period there was also a sad event in that Whittingham’s very own railway was closed down. 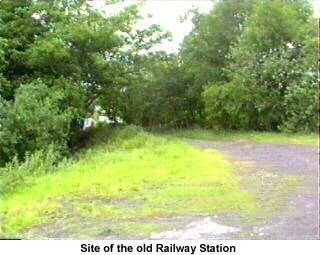 The railway began in 1887 and ran from the British Rail junction at Grimsargh through to Whittingham, carrying stores, supplies, staff, patients relatives and visitors. The final run of the Whittingham train was made in 1957 ending seventy years of service. 1960 saw the implementation of the new “Mental Health Act” and this, in addition to the new forms of pharmacological treatment available saw vast improvements for people with Mental Illness problems. This was, alas, also the beginning of the end of Whittingham. Large and outmoded Victorian institutions such as Whittingham were deemed not to be the way forward in the treatment of Mental Illness (a fact since proved, without a doubt, wrong!) and small, ‘specialised’ units were to be created adjacent to large general hospitals. Even with the modern treatments available today, “asylum” in itself was a valued form of treatment and a very worthwile one too. There was then, there is now, and there always will be, a very real need for asylum! Following the inquiry, a number of changes were made, the “rotten apples” were removed and, in conjunction with the ‘modern’ approach to Psychiatry as opposed to Lunacy and Mental Illness, with the modern drugs available, changes were obvious! 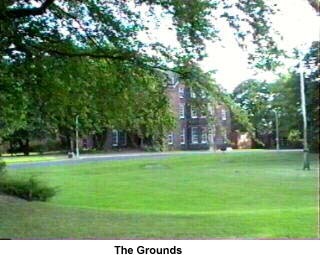 The hospital grounds were an open parkland used by the majority of patients either on their own or with the assistance of ready and willing staff, all eager to put the past behind them and prove the value of the institution. A breath of fresh air had been breathed into the old Victorian structures. Various forms of ‘therapy’ were instituted which included the likes of occupational therapy, industrial therapy, and resocialisation became the by-word of the day – resocialisation into the modern world, and all staff were encouraged to these ends. Although, if truth be known, the end was in sight, it was a simple matter of the realisation of the loss of such an ‘institution’ and its established grounds that made people unable to accept this. The wrongs had been put right, the place was functioning to the credit and benefit of both patients and staff, and the community, and “Asylum” was offered in the real sense of the word! It only became evident and ‘in your face’ when a new management team were introduced. Ken Ashton at the time, although a nurse, was also a staff representative, and one day asked the new management team what their objectives were. – they responded, “to close the place”. 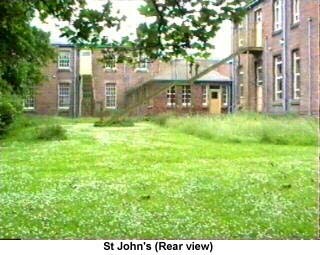 At this time a new Psychiatric Unit had been opened attached to the new general hospital in Preston – what a difference, no green pastures; no tranquil atmosphere; no parklands, only a small unit from which patients were restricted in their movements and subjected to the goings-on in a busy general hospital. The long stay patients had either been returned to their point of origin or placed in supposedly suitable units dotted about Preston. People who had been put into Whittingham by society were now being moved out. It is interesting to note that on the scale of trauma, death of a nearest and dearest being the top, moving home is second! Whittingham was the home of these people who had been in there for years and they had no say in their movement and placement. The rapid close down was almost complete; patients had been ‘relocated’; staff had been moved far and wide, the school of nursing had been moved, along with nurse training to a new era, not necessarily better, and most certainly not conducive to “hands on” patient care! It is now necessary to obtain a degree to become a nurse. This like other ‘political’ initiatives was and is sadly lacking, and, at the end of the day, who looses out? Having unfortunately had to take retirement on the grounds of ill health, Ken Ashton one day attended a meeting of professional nurses, prior to giving up involvement completely, and was dismayed to hear an undergraduate student nurse say to her mentor, a district nurse, “when I am qualified and your age, I don’t want to be going about wiping bums and the like, I want an office of my own” – nursing? The staff at Whittingham have argued long and hard that, whilst accepting that the old outdated Victorian buildings were no longer suitable, the site itself was of immeasurable benefit for patient care and for the provision of care for the people for whom it was intended, even taking into account the march of time and progress. 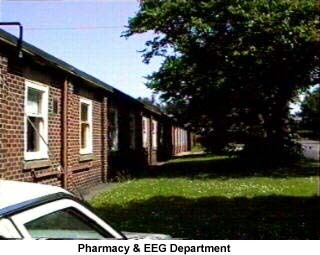 Small, purpose built units should have been errected on site, particularly with the long stay patient population in mind, to create a small theraputic community, shielded from everyday stress and pressures, which would allow people to get well in measured time. Some units have been built on the site, but they are primarily forensic and/or secure. The remainder of the land is supposedly to be sold for building a new housing estate. One of course has to ask who are we to say these things, after all, we do not sit in some anonymous office in a far distant place, with no connection to the patients, staff or area, making decisions which affect local issues, the welfare and well-being of people. Obviously people who have seen and experienced such places do not know better than those political mandarins when it comes to the care of our fellow man. Towards the end, the staff side insisted that management allow them to have appropriate input into the redundancy and replacement of staff. A difficult task was emarked upon to ensure that as many staff as possible were found alternative employment and that redundancy was kept to a minimum. It was with a heavy heart that on that fateful Friday evening, Ken Ashton closed the office for the last time, and being, what felt like the last person on earth, walked down the corridor of St Luke’s and closed the front door behind him on his final journey away from Whittingham. The door was now frimly closed to an era and a way of life. How much money has been spent (squandered), money much needed for the NHS, on such things as Trust Corporate Image? New offices, more administrative staff, increased levels of management with meaningless titles – why? It would appear that someone, somewhere, has an avowed intent that all traces and memory of Whittingham are to be erased. We have no intention of letting this happen and hope that you will support us by keeping this site alive. There has been considerable talk about the re-use of the Whittingham site. The current, and most popular theory, is that it is to be used for the construction of an “expensive housing development”. One can but wonder who would pay for these “expensive” houses which, although built within wonderful grounds, will no doubt have sight of a 20′ security fence? Additionally, having been refused entry to St Luke’s on the grounds that it is dangerous, why is the division surrounded by such a comprehensive security fencing? When we asked the agents about entry and the future use, they advised us that entry could not be allowed and that the building may be used in the future as office accommodation – offices within an expensive housing development?